(Lincoln, NE) The 2016 Nebraska Envirothon 1st place team is heading to the National Conservation Foundation (NCF) Envirothon competition held July 24, 2016 – July 29, 2016 in Peterborough, Ontario, Canada. The Nebraska Envirothon team consists of five high school students from Concordia High School in Omaha. They first competed in one of seven regional contests around the state in the Spring. 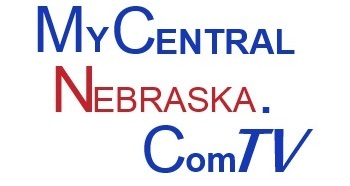 The winners of each region and the next seven overall highest scoring wildcard teams received the opportunity to compete at the state competition held at the Lied Lodge and Conference Center in Nebraska City, where Concordia High School Team 1 took first place. This year there will be 52 student teams competing at the national level. The high school team set to compete from Nebraska include Joe Manning, Michael Backer, Kat Mallott, Grace Trembath, and Derek Robbins. Their coach is Mike Ellis, a science teacher at Concordia High School. Envirothon is the nation’s largest environmental education program for high school students. It helps more than 50,000 high school students each year develop leadership, critical thinking, writing, and speaking skills in addition to a keen understanding of ecology and natural resources management. The Nebraska Association of Resources Districts Foundation sponsors Nebraska’s team at the national competition. The top three teams chosen in Ontario will be awarded a total of $30,000 in cash prizes by Envirothon sponsor Smithfield Foods. Each member of the first place team will receive $3,000; members of the second place team will go home with $2,000 each; and the third place team members will receive $1,000 each.